“EXPELLED” THE MOVIE – PROMOTES RESPECT FOR HUMAN LIFE! 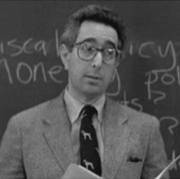 Ben Stein vs. Big Science! Ben’s new movie “Expelled” is worth going to see. First of all, he presents a serious subject with a lot of humor which makes it quite enjoyable. But more importantly, Ben is trying to promote a culture of life from an unusual perspective. I first saw Ben Stein speak at a Pro – Life conference around 1986 when I was the Education Director for the Right to Life League of Southern California. He was our featured speaker and did a great job. I just saw his new movie – which begins with him giving a speech to a crowd – and it brought back fond memories. Ben entertains while he educates, inspires while he informs – what a concept! *Others have made this same connection between the Culture of Death mentality and Darwin. For a readable scholarly look at the bigger picture see Architects Of The Culture Of Death by my former Philosophy professor, Donald DeMarco and his co-author Benjamin Wiker. In this book they have exposed its roots by introducing its “architects.” In a scholarly, yet reader-friendly delineation of the mindsets of twenty-three influential thinkers, such as Ayn Rand, Charles Darwin, Karl Marx, Jean-Paul Sartre, Alfred Kinsey, Margaret Sanger, Jack Kevorkian, and Peter Singer, they make clear the aberrant thought and malevolent intentions that have shaped the Culture of Death.